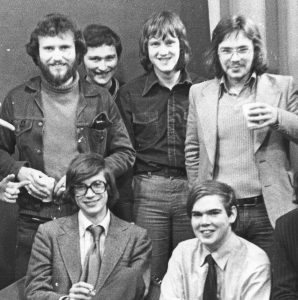 In 1979 BBC Radio London obtained a world record for broadcasting for 48 hours non stop. 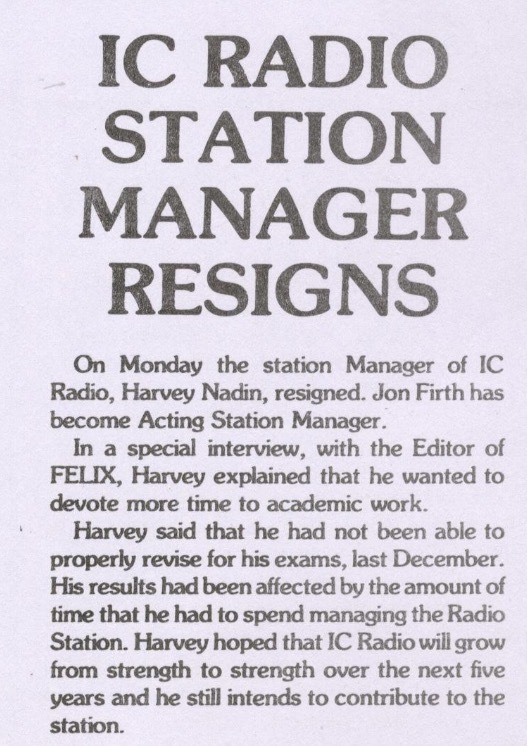 IC Radio were there as part of the attempt and Paul Johnson spoke to Harvey Nadin the newly elected IC Radio manager about this and his plans for the station in the new academic year. 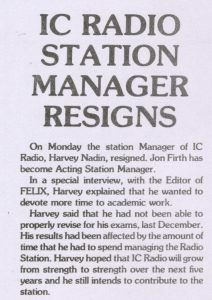 However, in January the following year (1980) Harvey resigned from his post. This could well be the only interview with him about IC Radio, unless I uncover something else! Page 2 of the January 14th edition of the student newspaper FELIX has the report on his resignation. Some of the tape has been damaged which you’ll see as lines running down the screen. In 1976 the student television service STOIC covered the student union election results live from the Great Hall. The videotape that we still have, these 41 years later, is the earliest one that still exists. One or two programmes were made in years prior to 1976 but as these were live broadcasts, videotapes were not made. It’s a fluke that this 1976 recording is still around. It was made as an ROT (Record Off Transmission) for no other reason than for us to be able to review what was done. I actually recorded it myself on a now redundant Sony open-spool half inch tape format machine (on the right is an example of such a tape). However, for some reason it was then copied onto the U-matic format which is still (just) in working order. We moved to U-matic in mid 1979. 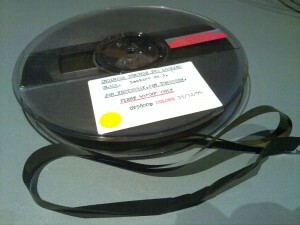 The recording is unstable in places and has many tape drop-outs (white flashes across the screen where tape oxide is missing). This programme was amazing in a way. Up until then all videos were recorded, or broadcast live from the studio. This was different because I had made use of some new cabling that had been installed from the Great Hall to the TV Studio. I considered that it should be possible to use this to send video and audio both from the hall to the studio and back again. I also used one of the audio cables to feed ‘ear phone cue’ to any of the presenters. Amazingly it all worked and we did that for several years. This programme was introduced in the studio by former FELIX editor Mike Williams and from the Great Hall by Mark Caldwell also with them was soon to be STOIC Chairman James Sinclair. In the photo, Mike is top left with Mark lower left and James lower right.